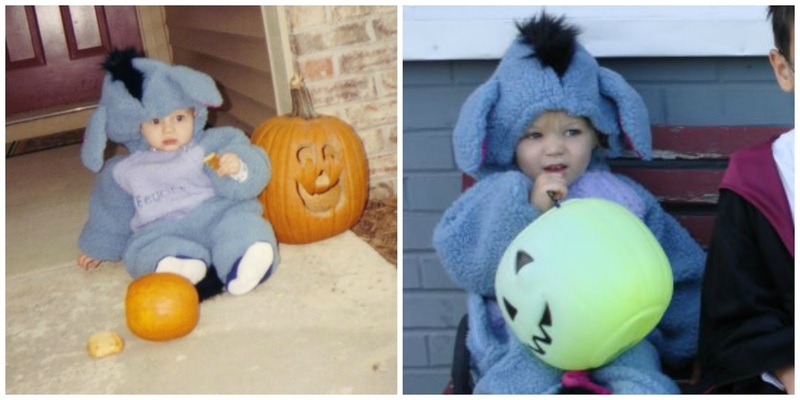 My 1-2-3 Cents : Boo Blog: Who wore it better? Halloween is one of my favorite times of the year. Even at age 43, I love dressing up. We've been dressing up since 2000. Some years a costume will get a second or even third life around here before donating them or using it as a decoration. In 2010 we went to Mickey's Not So Scary Halloween Party at Magic Kingdom. There were eight of us, so we split into four couples and each had a theme. 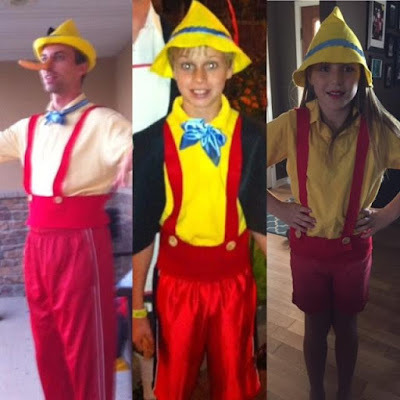 My dad and oldest son were Geppetto and Pinocchio. 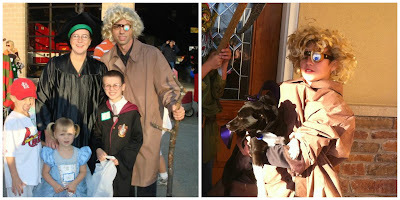 A couple weeks later for a Halloween party we attended, I donned the little wooden boy costume. And just this year, my daughter attended a Halloween party and became Pinocchio. Her official costume this is still being completed for Halloween night. I should note my mom made the Pinocchio costume. Our middle son wanted one of those morph alien suits in 2012. After spending $50 on it, he literally put it on long enough for me to take one picture, deciding days before Halloween he was too old (and cool) to dress up and go trick-or-treating. Two years later I used the suit as a base for being The Grinch. Harry Potter was a popular choice for our oldest through the years. In 2008 I was Mad Eye Moody. He then repuropsed the costume three years later. 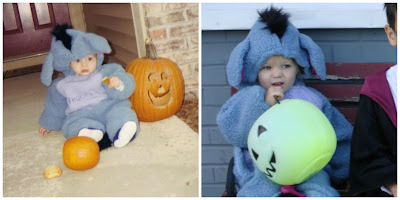 That first Halloween for our boy in 2000 he was Eeyore. We had done a Winnie the Pooh theme with his nursey and couldn't resist the cuteness of the costume. 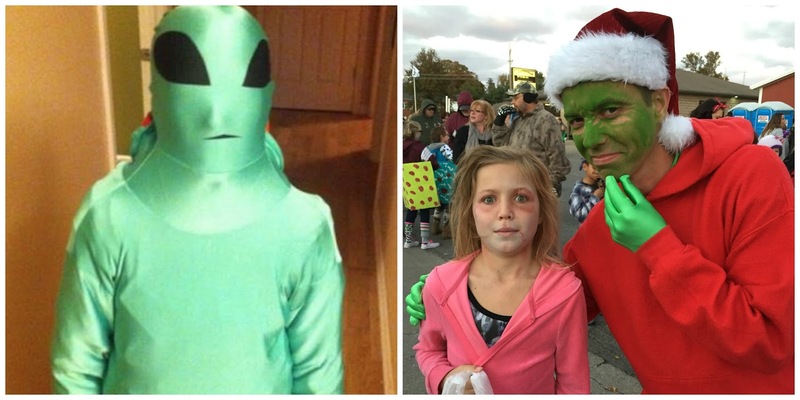 Seven years later his little sister strolled the streets in the same costume. I just got a look at our costumes for this year. I wonder what they'll be recycled in to for Halloweens to come.